SWOOOORDS! 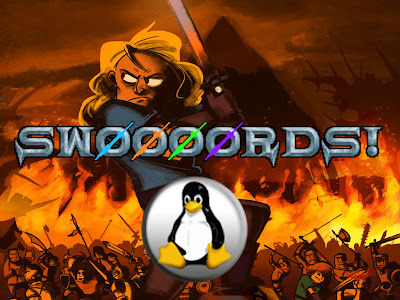 Colon Lords of the Sword is a cooperative dungeon-crawling game for up to 4 players. It is inspired by Gauntlet, Golden Axe, Bastion, and Spiral Knights. Combat that focuses on skillful timing of attacks, dodges, blocks, counters, and other abilities that will ensure your continued survival. Permanent death: Choose wisely, you only have one life to live. Wield one of many swords, each with their own special abilities. Gamepad-enabled! Play locally with up to four friends. The game runs in fullscreen mode by default and I couldn't find a way to force window mode. You can set the resolution by -screen-width and -screen-height arguments though.